The Bitacora Lanzarote Club in Lanzarote’s Puerto Del Carmen resort is a haven for guests who want to experience first-class facilities in a fabulous location. Set in the hills of Puerto Del Carmen, this hotel complex is less than 10 minutes from the alluring Old Town and the nearest 3km stretch of sandy beach, making it a fantastic base for your Canary Island holidays. 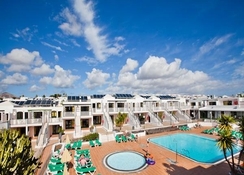 The hotel itself is home to comfortable apartments overlooking two large swimming pools, surrounded by sunbeds. Bitacora Lanzarote Club features 85 one bed apartments that include relevant amenities plus a terrace or balcony area overlooking the pool. If you want to explore outside of the resort, there are plenty of watersports, beaches, bars and boutiques nearby. 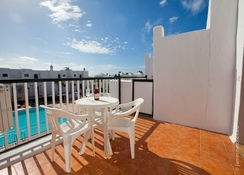 You could not wish for a better location for your Lanzarote holiday. 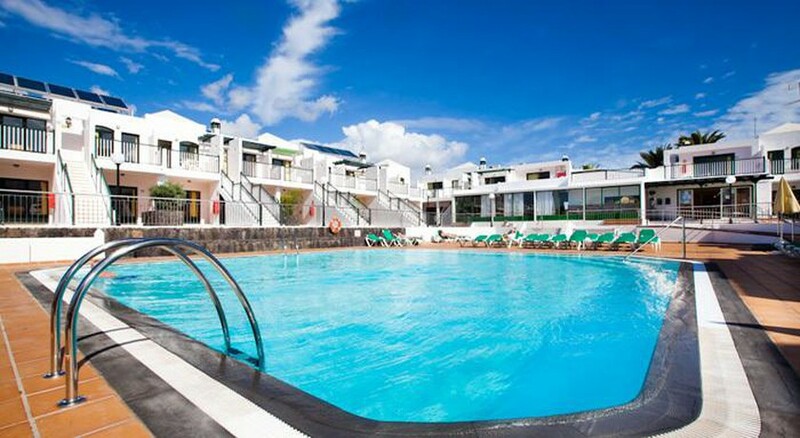 The hotel is secluded enough to offer a sense of tranquility whilst also being within easy reach to many attractions, which have made Puerto Del Carmen so well known on the holiday scene here in Lanzarote. The Lanzarote Airport is only 7.5km away from the hotel, making it convenient for the guests to board their flights on time. 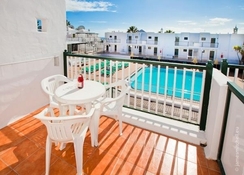 There are 85 one-bedroom apartments spread out over two floors at Bitacora Lanzarote Club, which offer great views out across the complex. All of the apartments come equipped with the necessary amenities such as a microwave, kettle, toaster, fridge, sofa bed, TV, plus a terrace or balcony. There are plenty of dining and drinking options near the hotel to indulge in. Some of the restaurants and bars near the hotel include Blair’s Restaurant, Mumbai Masala, Billy’s Bar, Indian Aroma, Restaurant El Quijote, Bluebells, Legacy of India, Quintins Restaurante and much more. In these restaurants, you can explore European, British, Asian, Spanish, Mediterranean and Indian delicacies. Or you can take advantage of the pool bar, which is open from 10am for breakfast, lunch and snacks. There are ample sports facilities in and around the hotel to keep the guests occupied on their holiday. There is an adult-only swimming pool, where you can have a lot of fun under the sun and also relax on the sun loungers sparkled across the pool. Children too can have a lot of fun in the children’s pool under the supervision of the hotel’s staff members. Golf lovers will not be disappointed either, as the Lanzarote Golf Resort is only 2.2km from the resort. Other than this, there is a lot to explore in Lanzarote, which is full of contrasts, with astonishing volcanic landscapes, overwhelmed by small and large beaches, where you will find golden, white and black sands.